Haita is a good-hearted young shepherd who takes good care of his flock and keeps his faith to the god, Hastur. After some time, he becomes disenchanted with Hastur because he has no sense or purpose and decides that he will find his own way. Upon doing this, a beautiful maiden appears to him. He briefly talks with her before she disappears. This happens a few more times wherein he find some inner moment and she appears. When he tries to ask her questions or get more from her, she disappears. This frustrates Haita but her presence is entirely lovely. One day while helping the old blind man who lives nearby he explains what has happened. The old man knows this woman and explains that the maiden is happiness and she is every elusive, that "She cometh only when unsought, and will not be questioned." I was surprised by this story. 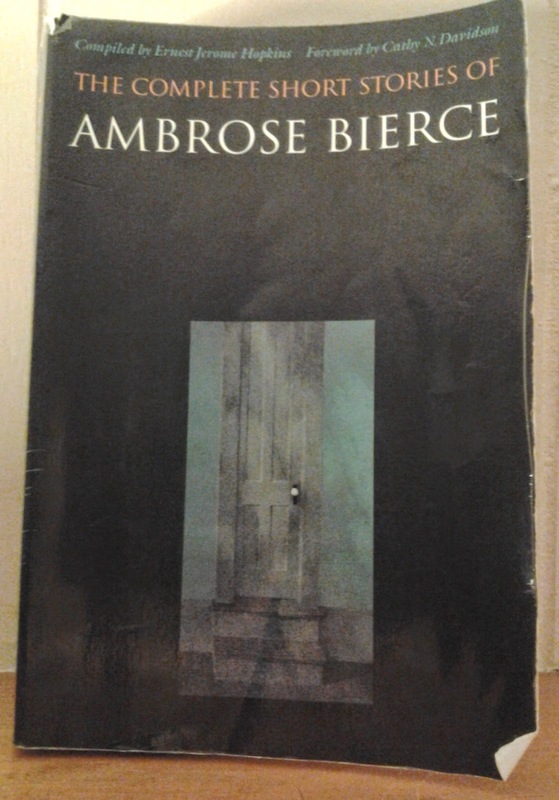 With Bierce, it's usually a ghost or an evil spirit but not the case herein. The anthology explained that this was one of Bierece's story that is hard to classify with his other works because doesn't fall easily into his traditional categories (such as horror, war, or humor).